St. Andrews is located in the town of Hanover, approximately 30 miles southeast of Boston. The first recorded meeting of what became St. Andrew’s was in 1725 at the home of John Damon. Mr. Damon’s home was located in an area of Massachusetts now called Norwell but was part of Scituate. The members wanted a church with the liturgy they had back home in England. They did not want to follow the Puritan tradition. The parish invited Rev. Timothy Cutler to come from Boston and preach. In 1727, the parish was formally organized as St. Andrew’s. 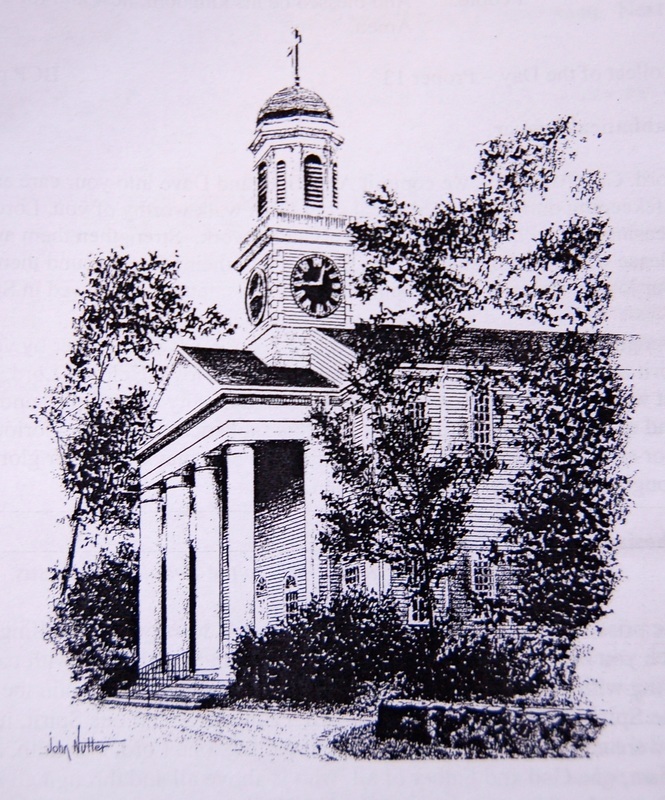 On November 30, 1731 (St. Andrew’s Day), the first church located up on Church Hill in Norwell (next to where the Methodist Church now stands) was dedicated by Ebenezer Millar (Miller) from Christ Church in Quincy. Because of the American Revolution, the Episcopal Church was created, of which St. Andrews now belongs too, as well as, the Worldwide Anglican Communion. St. Andrew’s is the third oldest Episcopal parish in Massachusetts. Over the years, it has served as the spiritual home of many South Shore residents, including Daniel Webster. The present church building was originally constructed in 1811 where it stands today. On Christmas night in 1986, the church proper was destroyed by a fire caused by electrical wiring. It has been restored to its original form. In September of 2013, the old parish rectory came on the market for sale. The seller was nice enough to allow any St. Andrew Parishioner to see the many changes that were done to the house after it was sold by St. Andrew’s in 1993.